Willis Newson is working with University Hospitals Bristol on a scheme which will relocate the Mortuary, Patient Affairs and Sanctuary spaces into a new extension to the King Edward Building. We are consulting with the three teams from the different services to come up with designs which will help them manage these complex spaces. Image: Proposed design for bier cover by artist Kate Bond. The challenge in the Sanctuary is to create a calm, respectful oasis for quiet contemplation, which can be divided to accommodate smaller spaces for prayer or discussion. We have appointed textile artist Ptolemy Mann to create a flexible, appropriate design which functions well within the space. 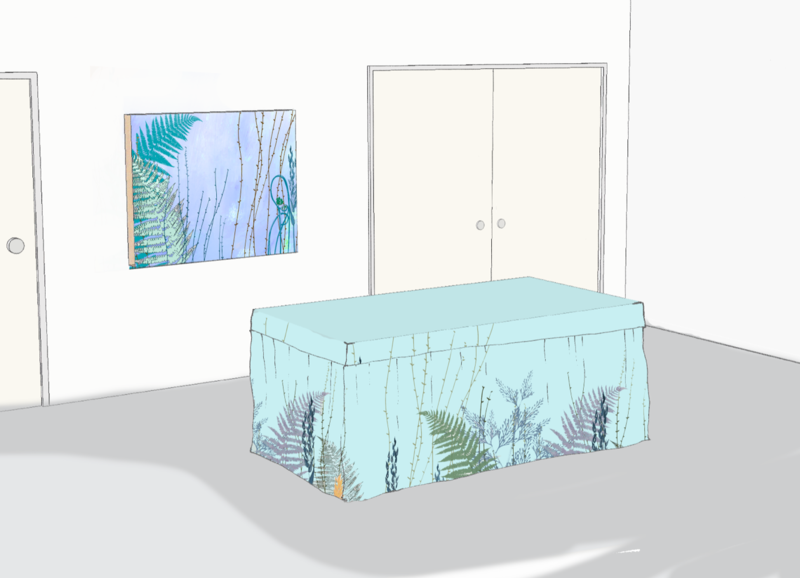 Ptolemy is producing large digitally-printed fabric panels which will be suspended from the ceiling and can be moved to create flexible screening. The scale and elegance of the design also add a sense of stateliness and grandeur, appropriate to the use of the room. The Mortuary rooms presents a very different challenge. Practical solutions are needed for these two rooms comprising a waiting area and a viewing area. Space considerations mean that instead of bringing in new artworks we are working with existing surfaces in the room to add warmth and texture. 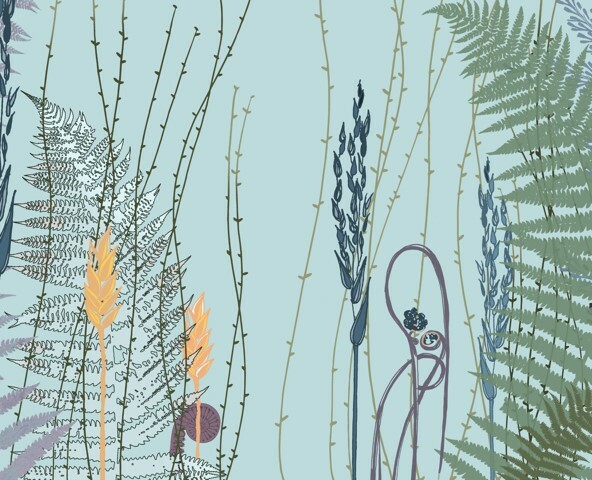 For example, the blind on the window between the two spaces will use a bespoke double-sided design by artist Kate Bond to create a different feel in both rooms. In the viewing room a lightbox will bring a different quality of light into the space and the bier cover has a bespoke design linking the blind and lightbox artworks. The final space we are working in is Patient Affairs, where relatives and loved ones carry out tasks such as collecting posessions or dealing with paperwork. We have selected watercolour artist Leo Davey to provide a series of window manifestations and prints for the waiting area. The aim is to mask unattractive views and also to bring in views of nature selected by staff. Leo won the Sunday Times Watercolour Competition, Smith & Williamson Prize, 2015.